This poem shows how even though someone is not beautiful on the outside compared to society’s standards, there is an inner beauty that makes a woman even more beautiful. Maya Angelou May you rest in peace. She will be deeply missed – she was an amazing woman. She was truly an amazing lady and she certainly left behind a legacy. Awesome Woman. I did a paper on her in college. I was saddened at the news of her passing. She was truly inspiring. Love this poem! May she rest in peace. Truer words were never spoken. Beauty has nothing to do with how you look! R.I.P. 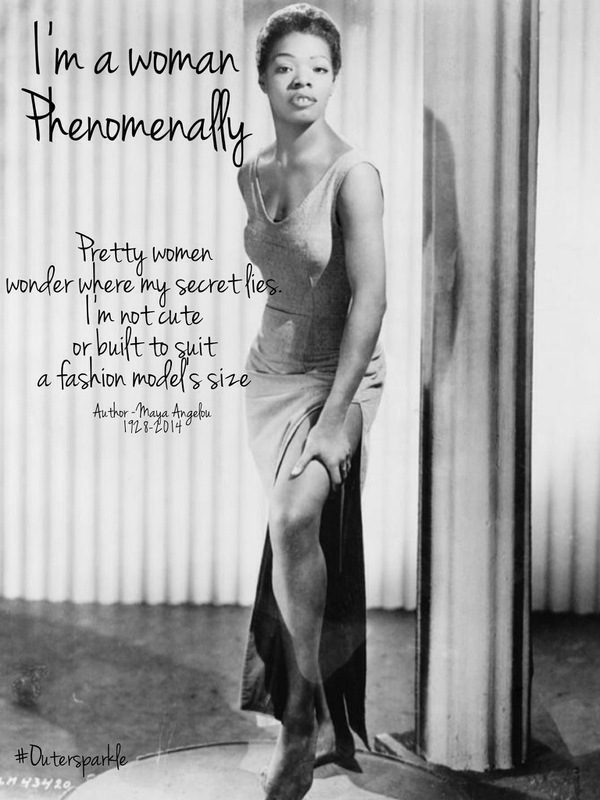 Maya Angelou, she will be missed. This is one of my favorites by her, glad you shared this. The world lost a wonderful soul, that’s for sure. She was a remarkable human being. Thsi is one of my favorite poems. I’m so sad to hear of Maya Angelou’s passing, but so grateful for her contributions! The world was a much more beautiful place with her in it. Luckily, Maya’s beautiful words will live on forever. One of my most favorite poems ever. It’s amazing how powerful words can be. She will truly be missed! I saw on my FB wall that a young lady “never heard of this Maya Angelou person.” Can you believe it! I’m sharing this post with her! I was so sad to hear that Maya Angelou has passed on. She was such an amazing woman! Beautiful poem by a beautiful soul. What a loss, but what a life! She left us with such gifts. I read about it yesterday and still couldn’t believe it, She was a great woman and a better human being, Legends never die. I am not familiar with her but it’s a pretty poem. You should definitely take the time to read up on her maybe get a book or 2 to read. Her way with words,stunning! Maya Angelou was an amazing human being! The world is a better place for having her here! What a beautiful soul. I think we could all tell ourselves these same thoughts. Even the most beautiful can doubt themselves. This is definitely eye-opening.